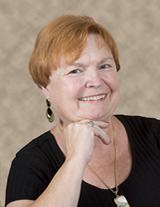 Sharon has been a full time REALTOR® in St. Petersburg, Florida, since 1986. She started with Merrill Lynch Realty which became Prudential Florida Realty, which became Arvida Realty, which was bought by Coldwell Banker. Sharon then moved to RE/MAX Metro for 5 years before starting her own real estate company, ALVA International, Inc. in 2009. Sharon specializes in waterfront homes and downtown condos. (Originally from Newport, Rhode Island, she has always been a water person.) She actively markets properties and represents buyers. In addition, she coordinates the Team, advises them, and utilizes her negotiating skills, as well as her experience in hundreds of transactions. Recognized as an industry leader in using technology to maximize her effectiveness, Sharon was named one of the top 100 most influential women in real estate in 2008. An active blogger, she also earned the distinction of being one of the top ten women bloggers in real estate. She is a frequent panelist and speaker at conferences nationwide. In her life before real estate, Sharon was a financial advisor, oil company executive (handling oil and gas leasing, investor relations, contracts and managing the office staff), teacher, innkeeper, and was in hotel sales in St. Thomas, US Virgin Islands. Sharon is a graduate of Salve Regina College (now University) with a major in English, and has done post-graduate work in German at the University of California (Berkeley), the University of Wisconsin, and Middle Tennessee State University. Married to George Simms, Sharon has six children and two grandchildren. Her involvement in the community over the years has included service to the Florida International Museum, the St. Petersburg International Relations Committee, the Tampa Bay Council for International Visitors, The Tampa Bay International Trade Council and the Tampa Bay Area Committee on Foreign Relations. She is an active member of the St. Petersburg Yacht Club.